Borrowing the ideas of the United Nations Agenda "Transforming our world: the 2030 Agenda for Sustainable Development", the major research interest is to concentrate interdisciplinary efforts towards building more sustainable, resilient and inclusive cities and regions, one of the nineteen sustainable goals. 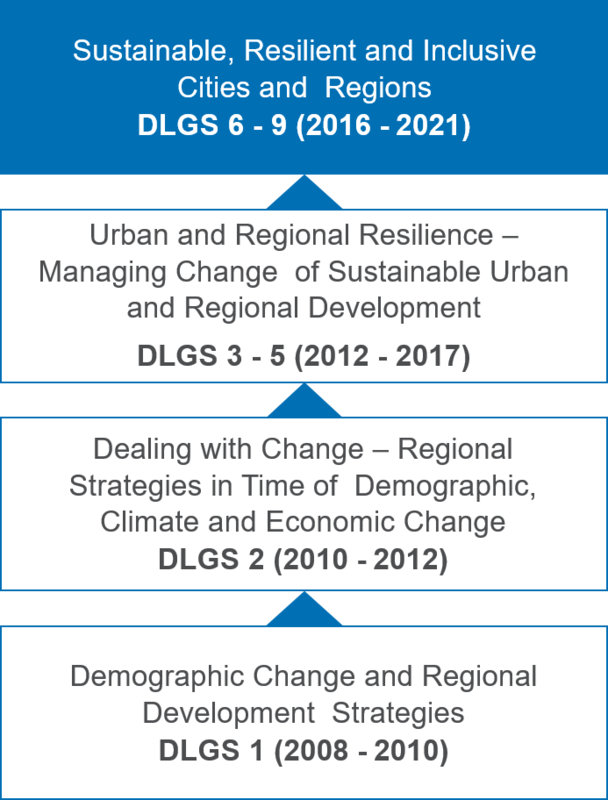 Doctoral candidates since the sixth DLGS cohorts (2016-2020) investigate new concepts, policies and instruments to promote social development, economic growth as well as environmentally-sustainable urban and regional development. At the end of 2018, the DLGS Management Board (the executive body of the Graduate School) decided to go on with the research topic. Due to its relevance, the umbrella topic for the 10th cohort will be same: SDG 11. Every year the DLGS launches a call for fellowship applications at doctoral level for up to three years. Doctoral candidates organise themselves around a broad common research topic to be addressed from a multidisciplinary perspective.